Testimonial | Anthony Ruivivar of the hit TV series "Third Watch" | 1-800-GOT-MOLD? 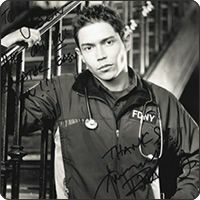 Anthony Ruivivar, New York City, of the hit TV series "Third Watch"
"It's been a year or so since you and your wonderful dog came and worked in our home. As you know our 1 1/2 year old son, Kainoa, was suffering from chronic colds which often led to respiratory distress. Our doctor at the time was somewhat stumped but she recommended we check the air quality in his room. Only a few days after we hired you, and during your first visit, you located and pinpointed the cause of Kainoa’s problem, MOLD! All of your testing was clear and concise, fast and painless. Not only did you quickly locate the problems, but you also recommended some quick cost effective solutions such as the IQAir air purifiers. Since we were renting our apartment and could not do the necessary remediation it was extremely important that we were able to do something immediately to improve my family’s health and give us peace-of-mind. I just wanted to update you on how we’re doing now. Kainoa is 100% better. He no longer gets a monthly cold that grows into a wheezing cough. I can’t express how happy that makes us. 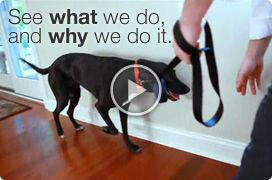 You have made an invaluable difference in my family’s life."